President of the Sudanese Chess Association resigns following a game that took place against an Israeli player. The president of the Sudanese Chess Association (SCA) tendered his resignation on Sunday following a game of chess that took place against an Israeli player at the World Youth Chess Championships in South Africa, reports the Sudan Tribune. 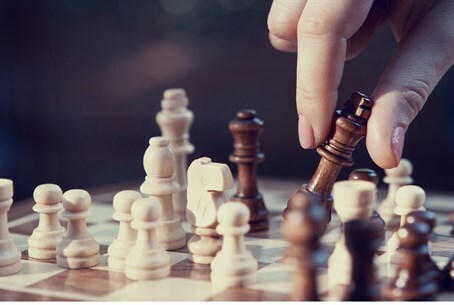 The president, Tariq Zaroog, said that he as an administrator of the top chess body in the country is stepping down and offered his apologies to the Palestinian and Sudanese people, according to the report. The incident was extensively covered in the Sudanese media with some describing the chess match with the Israeli player as a "sports shame". Others noted the resignation of Zaroog was a rare precedent in a country where public officials refuse to stand down unless they are forced to. The player in question is Omar Albargdar Eltigani, who was born to a Sudanese father and a Hungarian mother and is ranked as the top chess player in Sudan by the World Chess Federation (FIDE). SCA recruited him to play on behalf of Sudan two years ago at the Arab Boys Under-18 Championship in which he managed to secure the first Arab title for his country. He has continued to represent Sudan in all subsequent competitions, noted the Sudan Tribune. The draw in South Africa put him in a game with an Israeli player but the SCA chief demanded that he turn it down unless the contender is changed or else he has to withdraw. The Sudanese chess mission was surprised to learn later that Eltigani proceeded with the game under the pretext of being subjected to pressure from his Hungarians friends, the report said. Sudan in recent years has accused Israel of carrying out airstrikes against targets in Sudan. Israel refused all comment on Sudan's accusation about the factory blast, though a top Israeli defense official said Sudan "serves as a route for the transfer, via Egyptian territory, of Iranian weapons to Hamas and Islamic Jihad terrorists." Iranian warships regularly dock in Port Sudan, in what Khartoum describes as “routine” visits. Khartoum has denied Iranian involvement in weapons manufacturing and has accused Israel of "spreading fabricated information".